Puration launched the EVERx CBD Infused Sports Waters in the spring of 2017. EVERx has since become the leading CBD infused beverage in the sports nutrition market place. The company's sales grew 600% in the first year after the launch of EVERx. Kiwi Strawberry and Lemon Lime flavors are now available in addition the Original EVERx CBD Infused Sports Water. 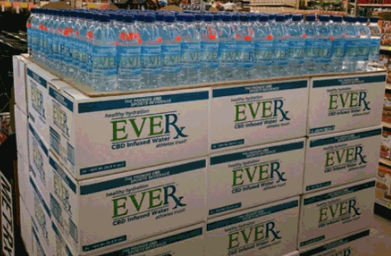 EVERx has more than twice the CBD of most CBD infused waters on the market. A proprietary technology enables EVERx to suspend more CBD than its competitors and still have a crystal-clear appearance and a refreshing taste. The company has recently initiated a package redesign after extensive market testing of a new logo design. Consumer demand for CBD infused beverages is growing and Puration is likewise receiving inquiries from a broader array of retail outlets. The package redesign is the first step of a comprehensive marketing plan to dramatically increase EVERx sales over the next 24 months.